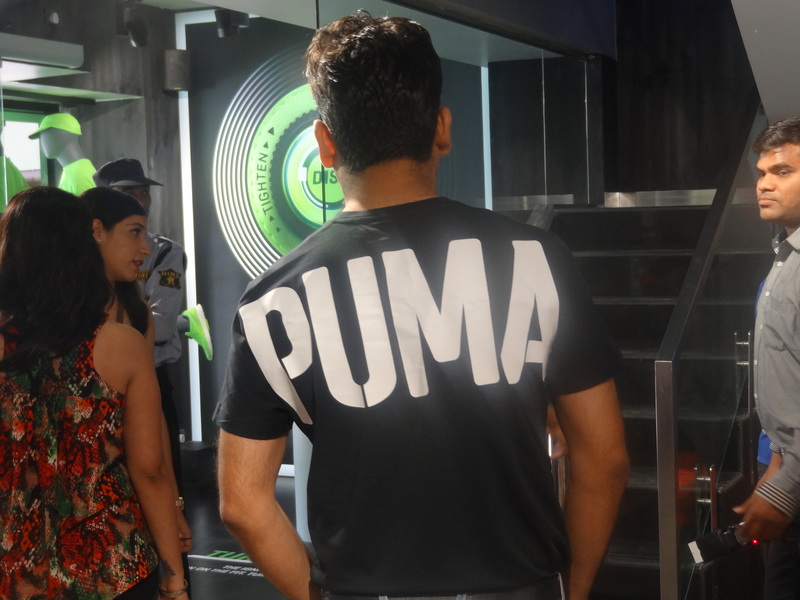 The biggest hotspot for all you sporty & energetic people- PUMA has launched its biggest flagship store in India at South Ex-1, New Delhi spread over three flours in an area of 4800 sq. ft.
Jacqueline Fernandez, the sports freak, fashion diva & trendsetter, herself inaugurated the Forever Faster store and with her bubblinessm charm and a lovely sporty attire, she stole everybody’s heart and captured & captivated my eyes for, the fitness freak & streak in her is so natural, being a ballet dancer. Jacqueline shared her personal style tips, insights and experiences at the launch. Being patient & calm, peace loving & cheerful, she thanks god for whatever he has given or bestowed her in form of blessings. She believes in drinking atleast 1 litre water during workouts and does stretches & yoga regularly for maintaining flexibility. She loves Puma, loves meditation & yoga and is fully devoted to peace & natural spring water. 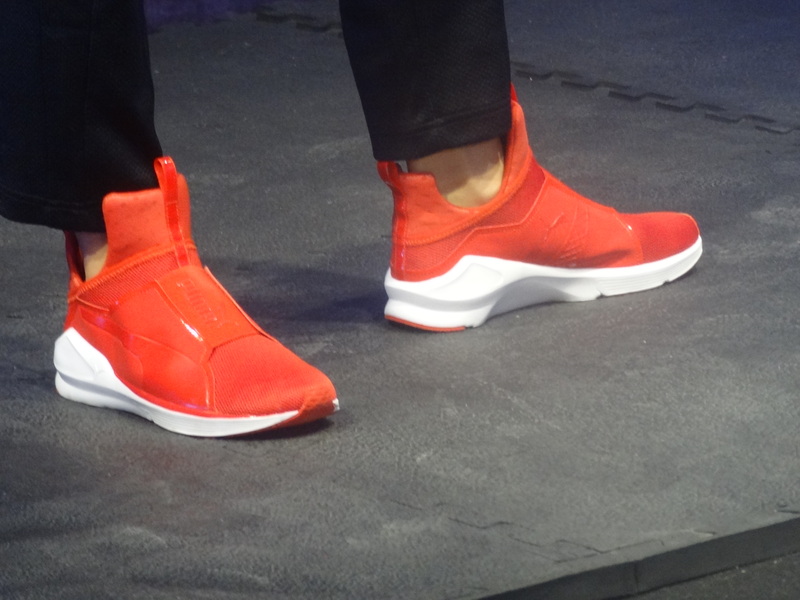 She even did a flip on the stage in her Puma shoes & attire. 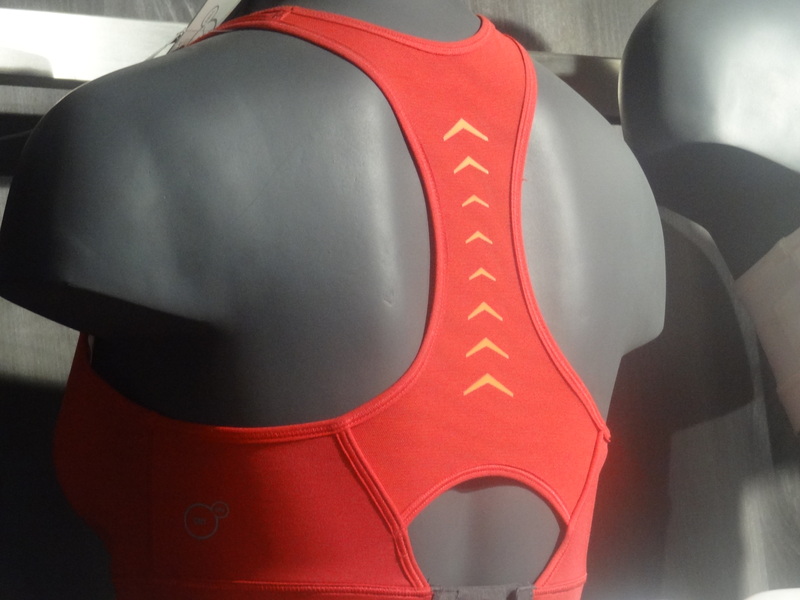 It’s the ease you find with Puma essentials be it their sports bra or tracks or any garments. The comfort in shoes, cushioning, style, movement, flexibility, durability plus the affordable price is what sets it apart. 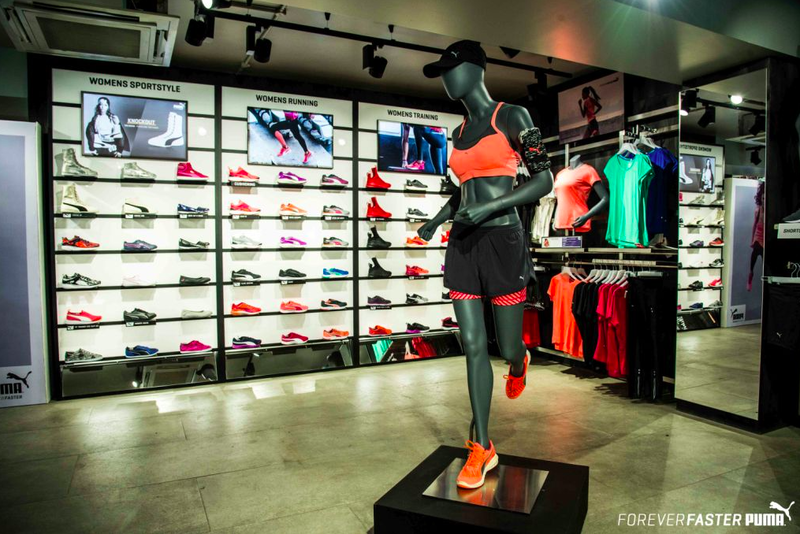 The Forever Faster store concept imbibes PUMA’s brand ethos which is reflected in the design, layout and top of the line product offering. The store design is captivating with clean lines and a very modern look and feel. The layout and design is simple to give focus on the products to ensure they demand attention, stand out and resonate with the consumer. 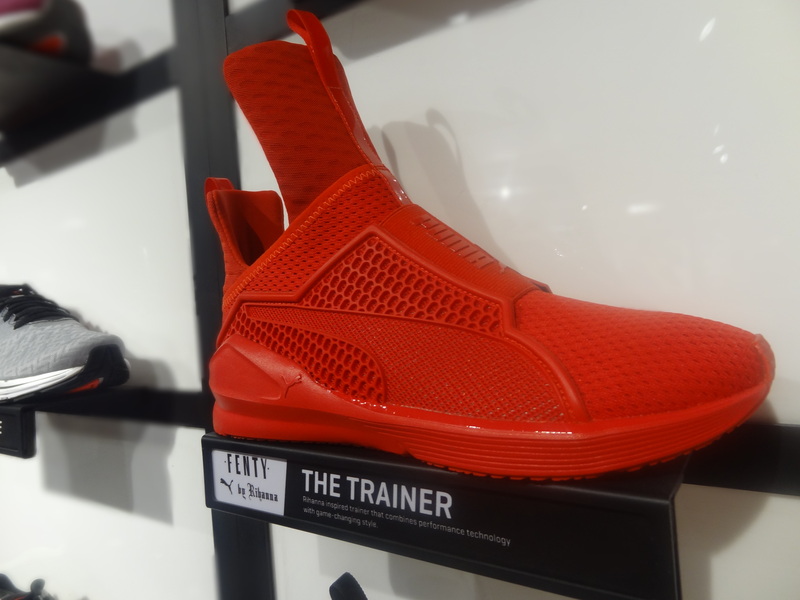 The store houses the widest range of PUMA’s latest performance and sport style products, with a variety of products exclusive to the new store in Delhi only. PUMA select a special range of products in collaboration with international designers- Alexander McQueen and Chris Stamp etc. is made accessible at this store. For the fitness urge in all of us, climbing, walking, running or just dancing, you have every possible option here to choose be it comfort or style, you are sure to fall in love with the new collection which inspires & motivates and the comfort brings you happiness and the hardwork you do during the workout, it eases that pain also so invest wisely & build a strong stamina with the best i.e. PUMA.